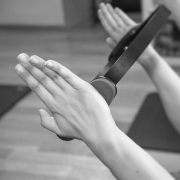 Both the foundation and the culmination of the Pilates method, the mat work focuses on core strength and stability. You’ll warm up with the basics, then flow through a series of exercises that connect mind and body, leaving you feeling energized and tall. One of the most creative pieces of equipment, the tower is a great way to introduce spring work into the foundation built in mat class. With more focus on the extremities, tower classes utilize fun choreography and give you a full body workout. 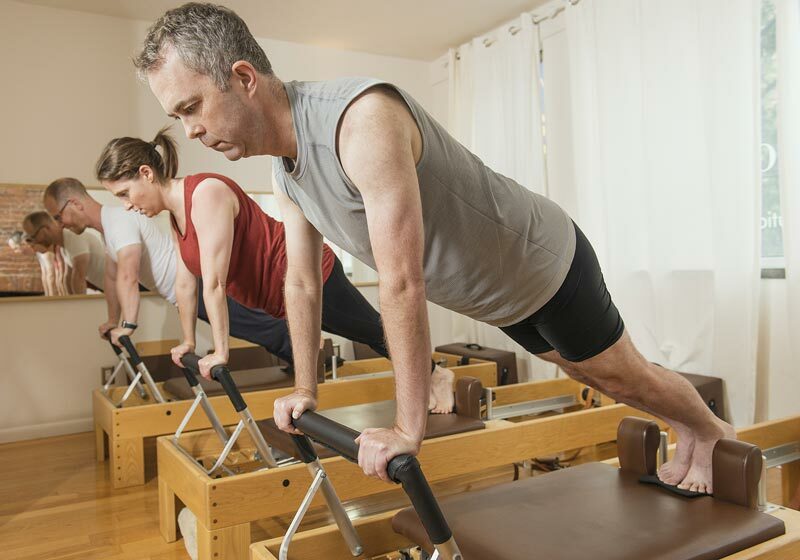 Limited to three students only, our signature reformer class gives you the focus you need to refine your Pilates practice. 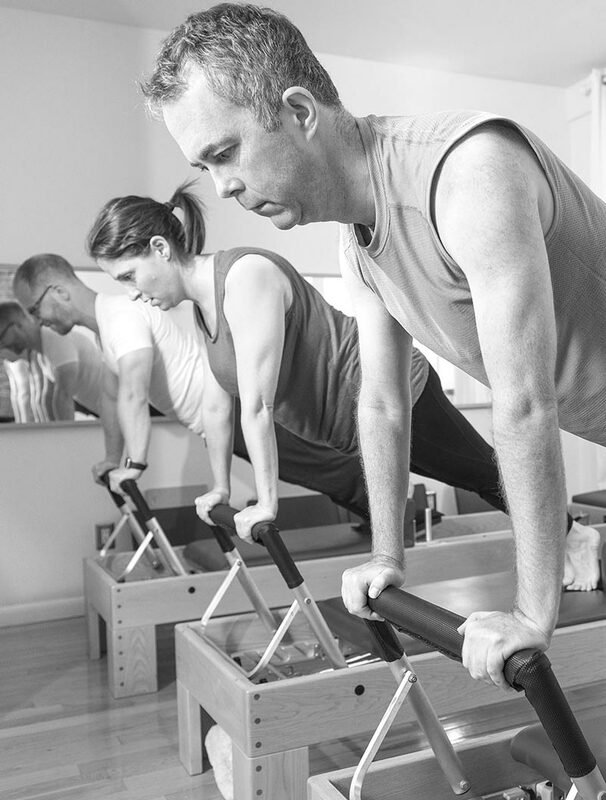 The reformer springs give you a combination of both resistance and assistance and provide for a constantly varied and challenging workout. A specially discounted class that is reserved for our esteemed colleagues around the city who need to get their Pilates fix! We’ll work on a different apparatus each time and focus on a fun workout that will both challenge and inspire. 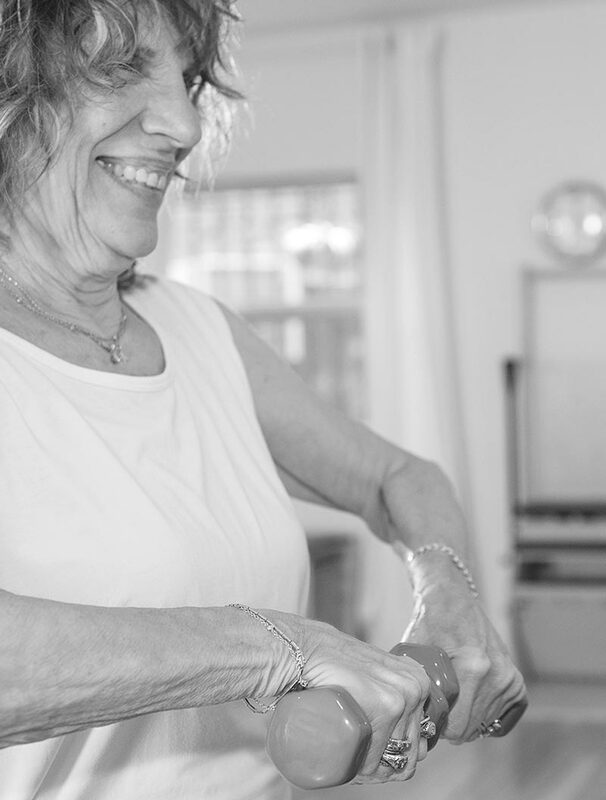 The MELT Method is a self-treatment technique that helps people stay out of chronic pain. Using a soft body roller and two different balls, MELT addresses the stress that accumulates in the body through daily living. It is designed to reconnect whole-body communication, rebalance the sensory nervous system, and rehydrate the connective tissue.